Here’s a phrase no one said ever: “I hate an afternoon spent in the Spa” . The reason why no one ever said this? Because it is stupid and downright wrong, especially when we are talking about the Dior Spa! 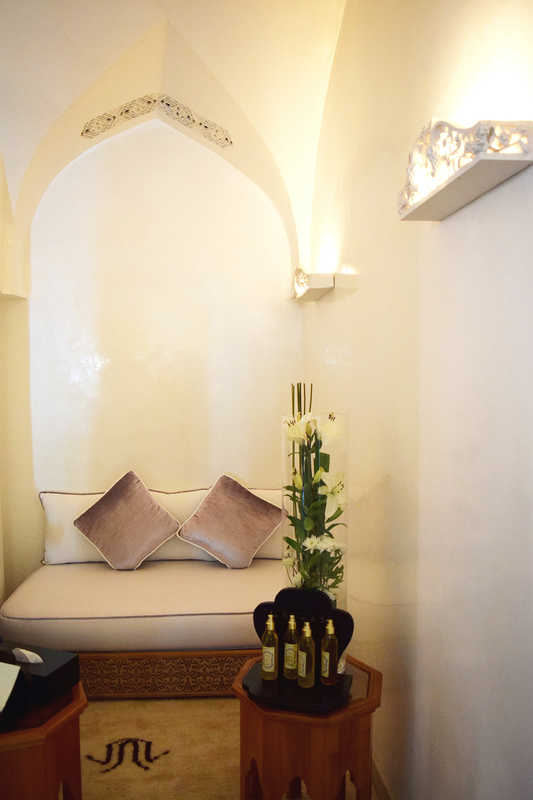 Located in the Es Saadi palace, Dior Institute was designed to meet the standards of the Dior unique brand and it is one of the two in the world with the first one being in Paris. 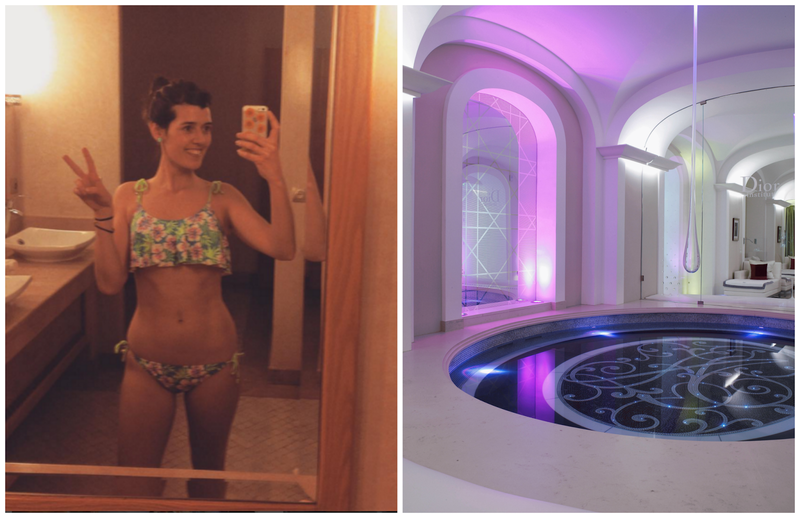 When we entered the Spa we were greeted by the smiley staff and the gorgeous, Parisian manager who I have to admit had the best skin complexion I’ve ever seen! Immediately I thought if Dior can do this to me then I have to try it! 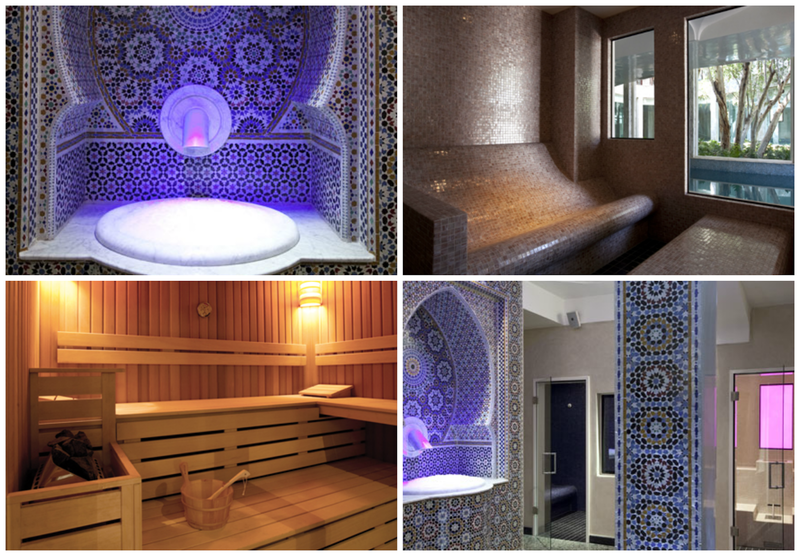 We were given a complimentary afternoon at the Oriental Thermae, which included the herbal bath, sauna, steam bath, swimming pool and the whirpool foot spa treatment. I started with a swim at the pool followed by a visit to the lavender and music bath-oh the smells. I was advised to apply ice from the ice fountain all over my body in between treatments to encourage blood circulation, such a shock having ice all over me after getting out of the bath (that pretty much felt like sauna) but it was totally worth it for the feeling I was experiencing later on. Next I visited the chromotherapy bath; lights where changing colours gradually from blue to purple and red in a frequent rotation, I never put much thought on the effect colours have on brain activity but they do wonders, I felt so calm and relaxed! Sadly I wasn’t allowed to get pictures since this is a place for relaxation and snapping away with my camera would be annoying and disrespectful for the rest of the people. However, I did manage to get a few with my phone just to give you an idea of the interior aesthetics and the tranquility of the Spa. I concluded that Marrakesh is full of surprises! 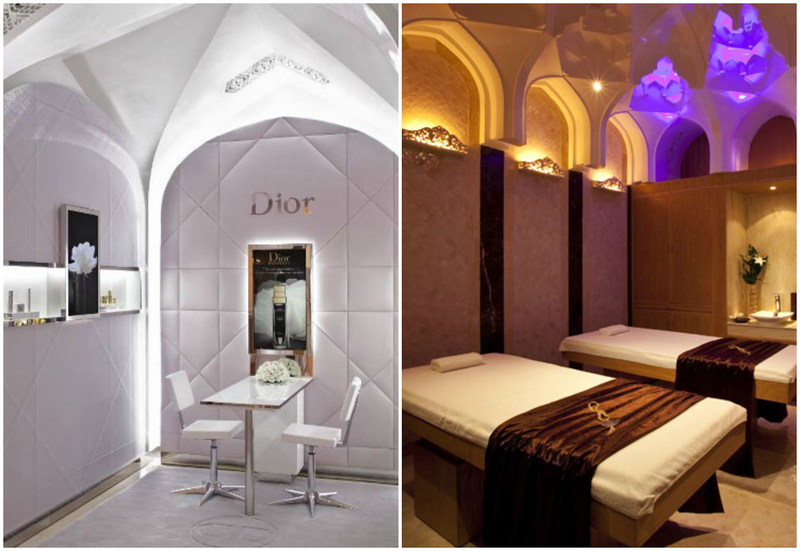 Have you ever heard of the Dior Spa before? This is like a dream coming true! I cannot believe you have done so much travelling while doing a PhD! So envious of your lifestyle right now. I saw your post on Twitter and as we are in the middle of ‘we need to go somewhere in March’ conversations with my boyfriend I am now stalking all your Moroccan posts for some inspiration and suggestions! This place ooks dreamy but I fear of how expensive it might be…. Also your bikini body in these shots. I wish my stomach was THAT flat!!! !